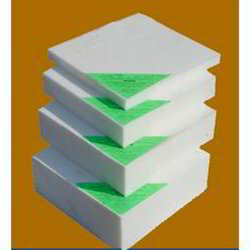 Manufacturer of a wide range of products which include molded foam. Our organization holds a specialization in offering a broad spectrum of Fire Retardant Acoustic Foam to our clientele. The offered array of products is designed using best quality materials which are offered from authentic and reliable vendors of the market. We are offering these products in various specifications keeping in mind the diverse requirements and needs of our esteemed customers. Our offered assortments of products are available in various sizes.